Quick update... I'm almost done! Just need to touch up the caulk and put on another finishing coat of paint. Overall a very time and labor intensive process! 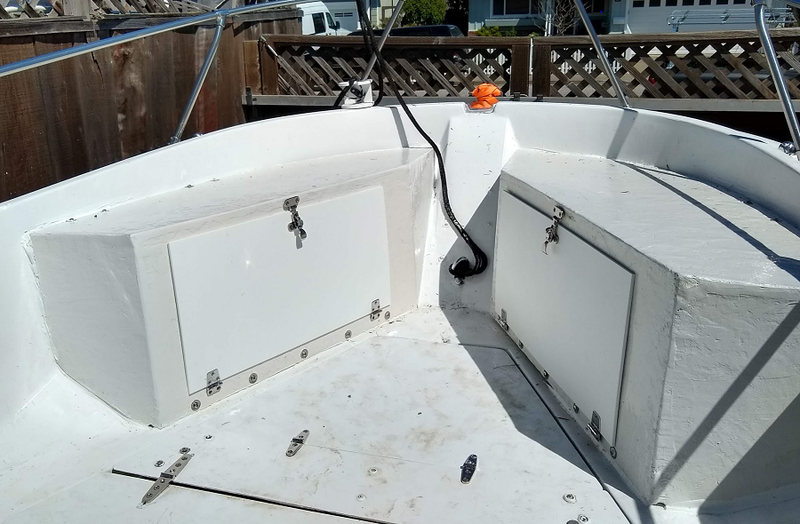 Boston Whaler customer support got back to me very quickly and gave be an exploded view drawing of how they attached the bow locker. It looks like they have wooden cleats that screw into the fiberglass which the bow lockers are then attached to. Good idea. I'll try that now and see if they reply. Does customer support usually give out technical data and info about older boats?